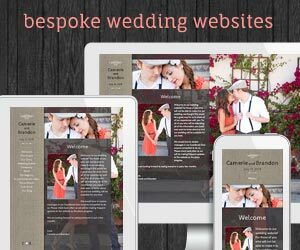 Wedding Websites Will Never Be The Same! We are very proud to be the first wedding website company to offer video backgrounds! We have free wedding websites with video backgrounds or you can upgrade to premium and customize your videos. You can even have a different video background per page! In celebration of our launch, if you use the promocode VIDEO20 between now and midnight Saturday, August 27th, you will get $20 off the yearly premium package. You+Me will be offering video in the coming 2 weeks! ©2009 - 2014 Wedding Window, Inc.